What sort of “Canadian” screams Allahu Akbar and makes Bomb Threats? We may never know, Canadian media refused to include that little detail when reporting on the story. 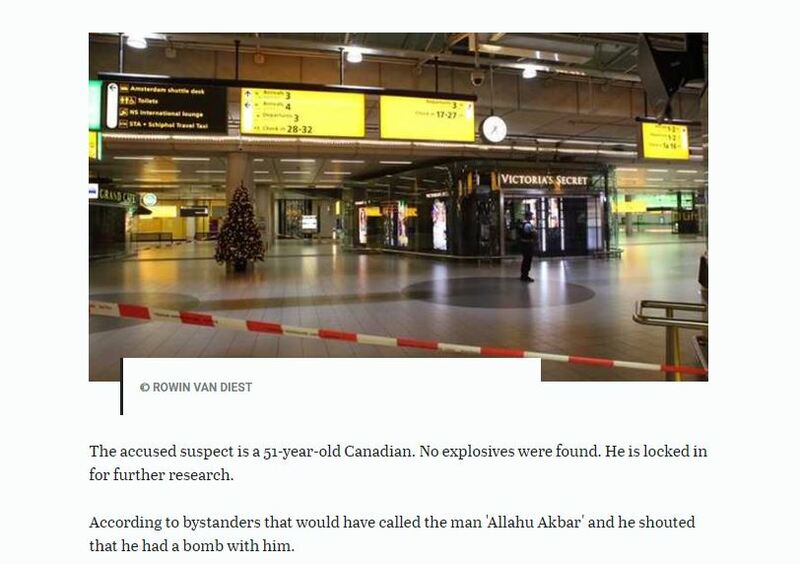 Not a word in their coverage of the Bomb Threat made New Year’s Eve at Amsterdam’s Schiphol airport from CTV, Global and the CBC .